Chrome OS is the ultimate productivity hack & will exceed Mac OS marketshare — but can it challenge Windows? 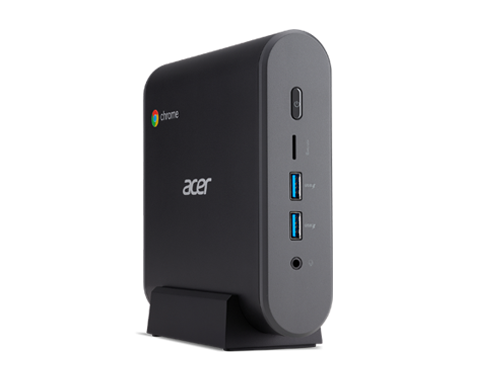 I recently replaced all but three of the Macs in our office (the ones used for video editing), with ~$800 ACER Chromeboxes and the stunning, ~$900, USB-C powered Dell 38″ monitors (model: U3818DW). Google’s Chrome OS is an absurdly fast, stable and distraction-free operating system. Over the past seven years of its short existence, it has become world-class. As the world has moved to cloud-based software, running inside of browsers, the need to download client software has disappeared for almost every task. This means software startups don’t have to build clients for every desktop operating system anymore (some do, most don’t). The Chrome Browser has become the standard for cloud-based apps to be built on — because it has massive market share. Chrome Extensions are available for everything you need to do, from password management, Grammarly and advanced email with Superhuman (email jason@18.234.176.227 with “superhuman” in the subject line and I will help you jump the line). ChromeOS doesn’t have all the Mac and Microsoft cruft like iMessage, Apple Photos, iTunes and all the rest. It’s basically just a browser with a desktop. Chrome OS is an open source project, which is allowing folks to do insane things like making a version of ChromeOS you can install on your old iMac and MacBook Air, and because the OS is so light it makes those computers seem new again. Chrome OS now supports Google Play, so if you insist on using an App like Spotify, Instagram or Slack, you have the option of doing it in the browser AND in the app. It’s kind of mind-blowing to Instagram on your huge desktop. Hardware vendors are loving and investing in Chrome OS. The fact that Acer is making a machine that is, literally, the size of a ham sandwich with 16 Gigs of ram, 64 GIG SSD, Bluetooth, six USB ports, an Intel Core i7 processor, USB-C, ethernet, HDMI and an SD reader is bonkers. For bonus points, you can power the ChromeBox from the USB-C port on your Dell Monitor — which then acts as a USB hub, giving you another four USB ports. This means the whole setup requires one power plug (to the monitor, NOT the computer), which is really strange. The chrome box powers 3840 x 1600 resolution on the Dell Monitor — which is nuts. You can put three giant chrome browser windows side by side, which will make you and your team 10-20% more efficient. ChromeBooks are all over schools today. Google’s login system and browser sync let you log in to ANY ChromeOS device — so sharing a ChromeBook or ChromeBox is as simple as logging on and off. ChromeOS is so light that it updates and boots blazingly fast — like seconds. For $1,700 you can give everyone in your startup a machine that is absurdly fast and a monitor that is just amazing. The Chromeboxes actually start at around $200, and you can get a decent widescreen for $400… so in truth you can test this setup out at like $600 total and have your mind blown. Big Question: Will Chrome OS eventually dominate the Windows operating system juggernaut, at 60%+? Google did with browsers, which take minutes to switch, but can they do it with computers which commonly get switched every three to five years? The Chrome browser has taken over the world. Finally, the Google Pixelbook is a fantastic machine to pair with the Dell 38 monitor. You simply plug in the USB port and, again, the monitor will charge your laptop and sync up in seconds. The Pixelbook, and Chromebox setup above, are half the price of an equivalent mac. Bottom Line: Google’s brilliant long game: Chrome, Android and ChromeOS (aka the Chromium Project) are all open source and free, driving consumers to give their data to precious data for Google to — essentially — resell to advertisers. This builds a massive moat around Google’s ad business while putting massive pressure on Apple and Microsoft’s franchises. The post Chrome OS is the ultimate productivity hack & will exceed Mac OS marketshare — but can it challenge Windows? appeared first on Calacanis.com. Chrome Extensions are available for everything you need to do, from password management, Grammarly and advanced email with Superhuman (email jason@calacanis.com with “superhuman” in the subject line and I will help you jump the line). Proudly powered by WordPress. Theme: Startups + Business Chatrooms by Entrepreneurs Chat.